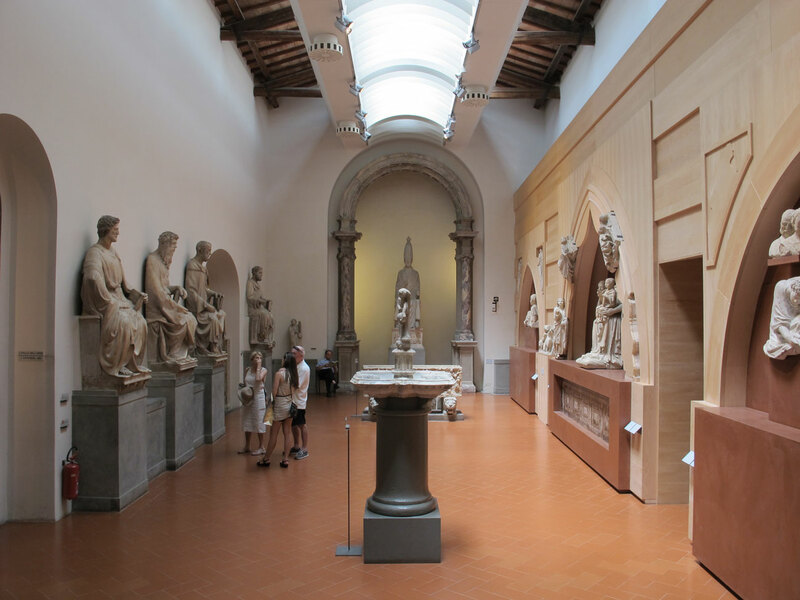 Visit the Opera del Duomo Museum in Florence nearby our hotel! A weekend dedicated to art and culture in Florence must involve the visit to the Opera del Duomo Museum, a real treasure in the heart of the city, few steps away from our hotel in the historical centre of Florence. If the institution of the Opera del Duomo was created to be dedicated to the conservation of the monuments of Florence, the Baptistery and the Cathedral of Santa Maria del Fiore, the museum of the same name was created at the end of the XIX century to protect the involved artworks. Today, inside a space of 6000 square metres, you can find the statues and the sculptures that were once embellishing the Dome and the Baptistery at the exterior, now exposed in 28 rooms, together with around 750 artworks of incredible value. Admiring these beauties can really make your weekend in Florence unforgettable! Safe from the damages caused by pollution and generic acts of vandalism, these artistic records are at your disposal with an exciting route, telling more about the western culture of the origins, going through the charming profiles of the gothic style and the Renaissance. 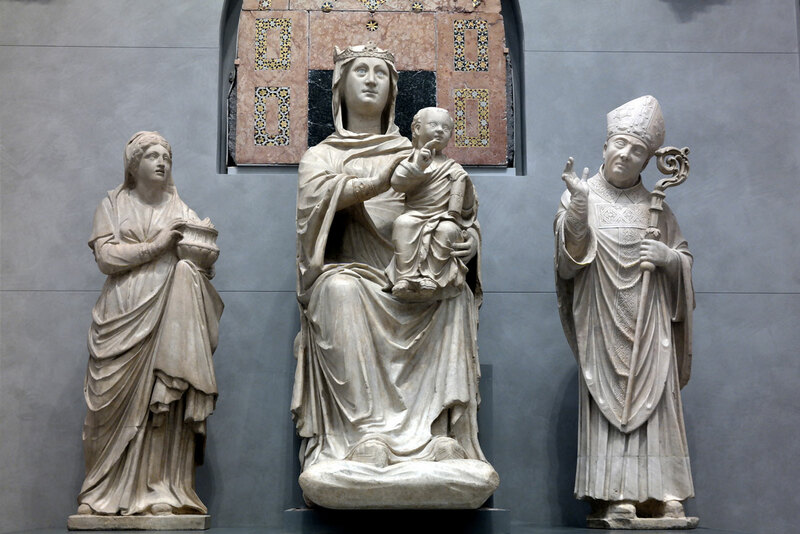 We suggest you the visit to the Opera del Duomo Museum because it contains the biggest quantity of monumental sculptures of Florence, with beautiful statues and bas reliefs to be admired in their real context, with facades reproduced in full scale, like the ancient one of the Dome. Donatello, Michelangelo and Ghiberti are the names of some of the artists that created the masterpieces inside the museum, distributed in a way to become one with the Cathedral itself, a real museum inside the museum! Together with the desire to admire the uniqueness of such a place, you also have a pretty cheap entrance ticket, considering that it will consent you to visit Giotto’s Campanile and the sensational Brunelleschi’s Dome, one of the most iconic symbols of Florence and its landscape. Moreover, visiting the museum can be quite relaxing, considering that it is often not cited between the things to do in Florence in many travel guides, thus the attendance is regular but never crazy. a weekend dedicated to art and culture in Florence! Hier finden Sie die Wegbeschreibung zu Il Guelfo Bianco, Ihrem Hotel im Zentrum von Florenz, nur 10 Minuten zu Fuß vom Hauptbahnhof und nur 25 Minuten mit dem Auto vom Flughafen entfernt.